I am so happy someone invented scouting cameras. 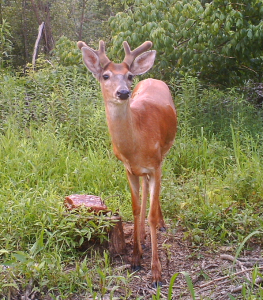 Getting velvet pictures of bucks in the summer is one of my favorite things to do on my farms. The anticipation of seeing what shows up each time I check my SD card is addicting. But, getting consumed with checking my cameras could lead to an adverse affect on the mature bucks if not done correctly. I used to check my cameras every weekend, regardless of where they were stationed. It was something I looked forward to, but after a while I noticed the big deer weren’t showing up any more. My presence was taking a toll on my buck sightings. So, with this occurring I had to change things and quick. I always check my cameras during the middle of the day. The deer are the least active and this isn’t going to change. Next, I looked at the locations of my cameras. I found something here. Some trail camera traps where pretty intrusive into the farms. I backed them out to the perimeter and looked for places where a lot of deer activity occurred, yet allowed me to get in and out undetected. Finally, I changed the frequency in which I checked my cameras. Instead of checking all my cameras every weekend, I now rotate my farms and check them every other weekend. 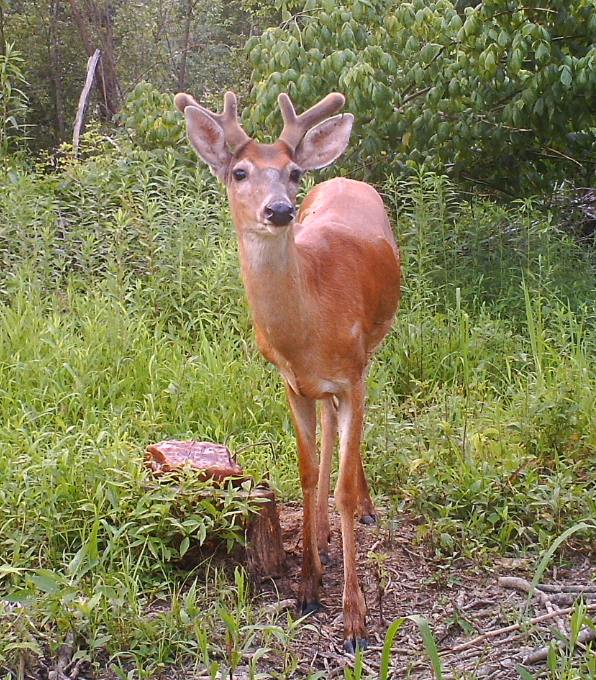 With these changes, the buck sighting have gone back up and I continue this year after year. I will put a note here, I know some places to get the best pictures are in the middle of your farms. If you put a camera up in that location, don’t check it often and try to do it when conditions are perfect. Don’t push the deer off your farms or nocturnal. Never walk into your sets. If possible ride your ATV or other vehicle in and leave it running. Heck, I’ve checked a couple of cameras on my tractor before. I’ve found that leaving the vehicle running is calming to the animals and they don’t spook as badly. A lot of times they are curious and want to check and see what is happening. If you know where the deer bed, check the wind before going afield. Make sure the wind isn’t blowing from you to the bedding area. Check your cameras when it is windy. The wind will cover the noise you make and your movement may go undetected with everything else moving. Checking trail cameras can be addictive, but don’t throw caution to the wind. Be smart, act like you are hunting and try to go as undetected as possible. Get the shot of a lifetime… with your camera.